YouTube, in its 8 short years of existence, has proven itself to be one of the most influential websites on the Internet. It started a video-sharing revolution, giving ordinary people a creative outlet on the web. Sure, Vine and Instagram do video too, but YouTube was there first. It created the genre. Now, YouTube founders Chad Hurley and Steve Chen are taking their original idea and updating it for an increasingly mobile world. Meet MixBit, a video-sharing smartphone app that combines the recording ease of Vine with the editing and collaboration tools that helped make YouTube a web sensation. MixBit’s main selling point is the ability to collaborate on videos with other people. 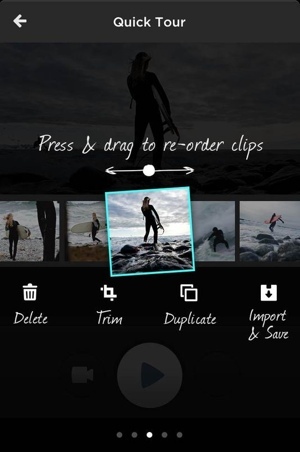 Users of the app can take bits and pieces of others’ videos posted to the social network as part of their own. Theoretically, you never need to shoot a single second of video yourself – you can remix up to 256 clips of pulled from other people’s work. On MixBit, this type of sharing and re-using of content is encouraged. Mixbit is currently available for iOS devices via iTunes. An Android version is coming soon.